Jill Schramm/MDN Looking west, traffic moves through the Third Street and University Avenue intersection Nov. 2. The Third Street Northeast and University Avenue intersection will become a two-way stop crossing, but the Minot City Council also has directed a pedestrian study for that area to determine where a pedestrian crosswalk might be placed. At Monday’s council meeting, council member Stephan Podrygula cited the difficulty Third Street poses for pedestrians without a crosswalk at University. He suggested a signed crosswalk on the southern end of the intersection. Currently, the existing traffic signals are on flash – yellow for Third Street traffic and red for University traffic – because of problems with the signal mechanisms. The signals had been suddenly and irregularly switching in and out of flash mode, creating a dangerous situation. The traffic department put the signals into permanent flash to avoid the problem while seeking a permanent solution. Signal cabinet equipment is no longer manufactured and spare parts are not available to fix the signals. The city traffic department recommended stop signs on University only. 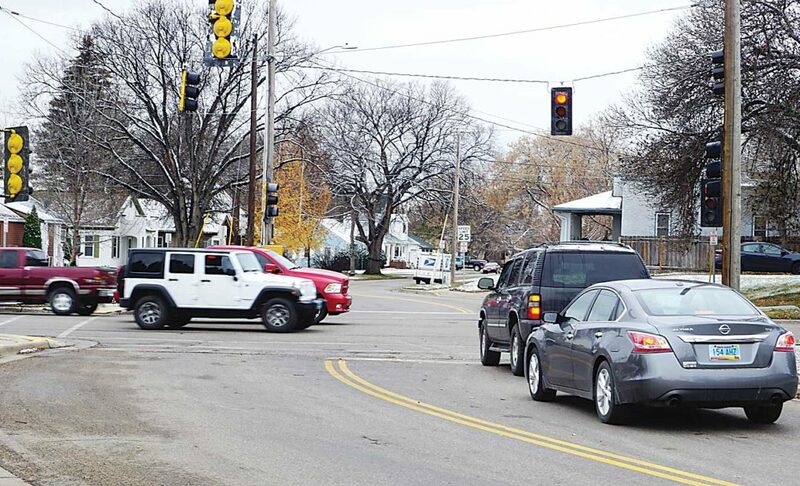 Given council and resident concerns about crossing safety, City Engineer Lance Meyer recommended a pedestrian study in the spring to determine if that intersection is the best place along Third Street to install a crosswalk. If so, a crosswalk could be installed next year. Council member Josh Wolsky questioned whether a four-way stop might be needed in reality, despite a traffic study showing a two-way stop will be adequate.